Hi Tech Exotic Lamborghini Gallardo clutch LP560 Kevlar kit fits 2009-2013 Gallardo LP560 Coupe and Spyder with manual and E-gear transmission. This will also fit a Gallardo LP570-4 Superleggera and LP550-2. Our Gallardo Kevlar clutch will last up to 300% longer than an oem/stock clutch. This Lamborghini Gallardo clutch kit uses our proprietary CEM (Clutch Engagement Mechanism) Version 2.0. Our CEM will help the clutch last longer. Our CEM makes it possible for a quicker engagment without causing jerkiness. Usually when a clutch engages quickly, it causes jerkiness but using our CEM, the clutch enegages quickly without any jerkiness. The quicker a clutch engages, the less slipping of the clutch. Less slipping means less wear. That’s another reason why Hi Tech Exotic Kevlar clutch will last longer than a stock/OEM clutch. Even Lamborghini couldn’t develope a quick CEM. The clutch pedal pressure is about 20-30% lighter in manual which makes it easier to drive in the city. Our Kevlar clutch has stronger internal parts and it can handle 1000 hp. Our Kevlar clutch has a very nice positive engagement which makes it smoother than a stock clutch. Our E-gear Kevlar clutch is smoother and has less bucking than an oem clutch. All of our Kevlar clutches are plug and play. There is no need for any modification in order to install our Kevlar clutch. The installation is the same as an oem clutch. E-gear programming is the same as an oem clutch. 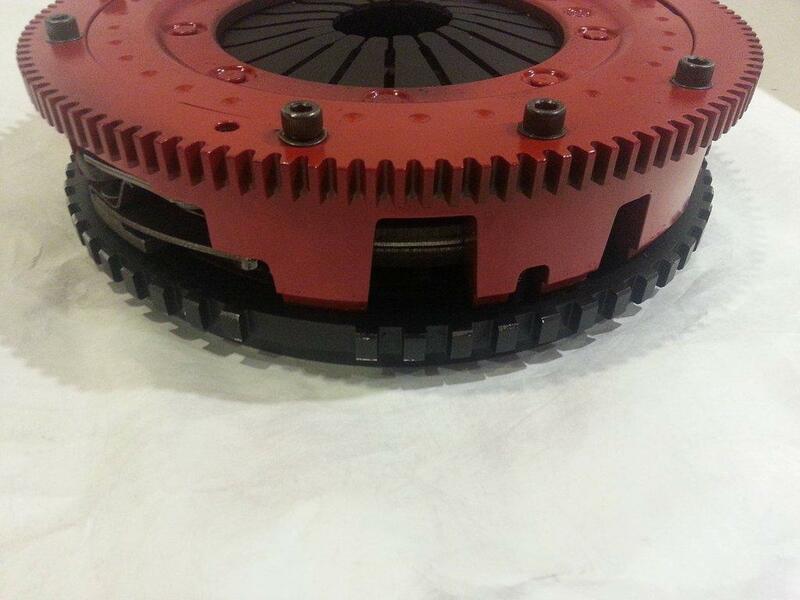 *** 24 MONTHS WARRANTY *** Our customers have put close to 10 million miles on our Kevlar clutches. We are so confident in our Kevlar clutches that we give a 24 months warranty on this Kevlar clutch. CALL US FOR SPECIALS AND PROMOTIONS. WE ALSO OFFER DISCOUNTS TO LAMBORGHINI-TALK MEMBERS.